As much fun as it is to go all out with go to hell pants etc. on gamedays there are absolutely times when we tone things down a bit. 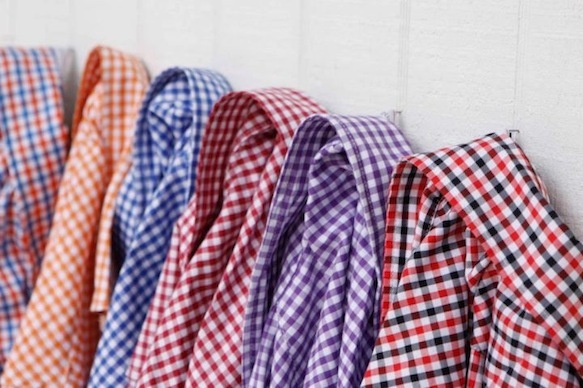 If you prefer to keep things a bit more understated, we have a feeling you’ll love the collegiate collection from Peter Millar. 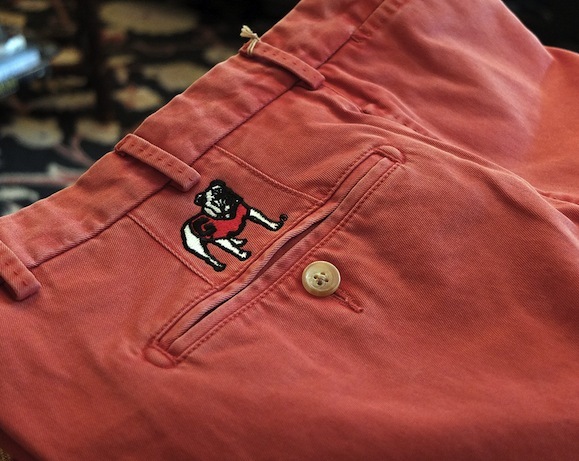 Whether your heading to a tailgate or the golf course, you can’t go wrong with their Collegiate Washed Twill Pants. Tattersall Bowtie Giveaway courtesy of Starboard Clothing Co.
A wise man once said that the only thing better than a cold beer is a free cold beer. Strangely enough, that same train of thought can be applied to bowties. 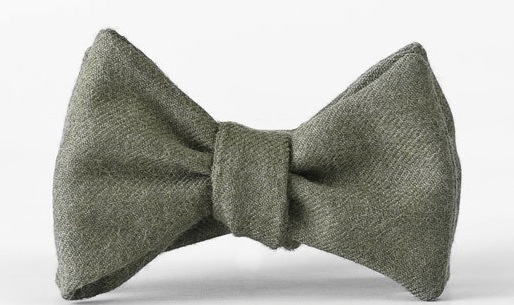 In our opinion the only thing better than a great looking bowtie is a free great looking bowtie. 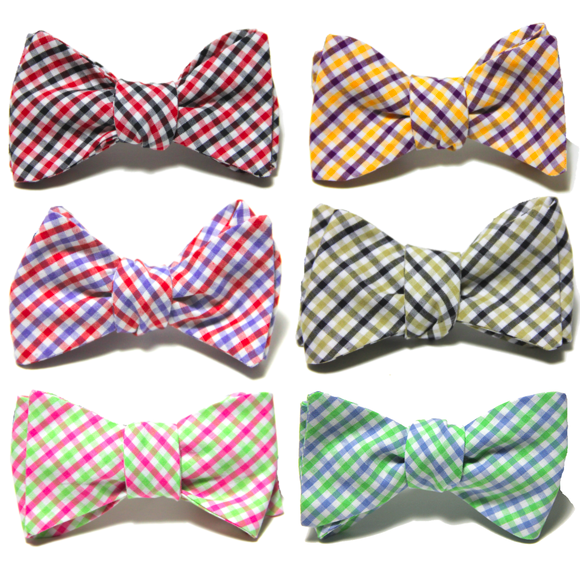 Needless to say, we’re happy to announce that we are once again celebrating bowtie Friday with a giveaway. 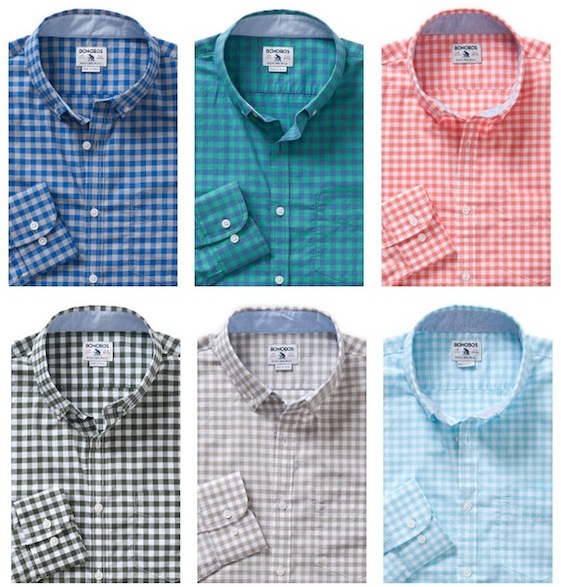 This week, someone is going to win a bow from Starboard Clothing Co.’s recently released Tattersall collection. On top of that, to celebrate the launch of the new Starboard website, you can use the code BOWSANDBOATS to save 30% on all orders until next Friday. Though we haven’t been around for long, we’ve been fortunate enough to see some great brands seemingly grow up right before our eyes over the last few years. From full on rebranding efforts, to small tweaks that have garnered huge results, it seems that things are constantly in a state of flux. Not long ago, our friend Read took his Clothing Project to the next level and added a number of pieces to compliment the ties and shirts he’d been selling. 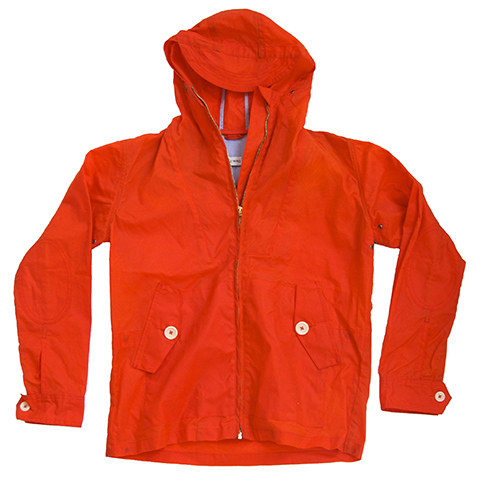 The new collection is dubbed Read Wall, and we are huge fans of his Wilson Wax Jacket. 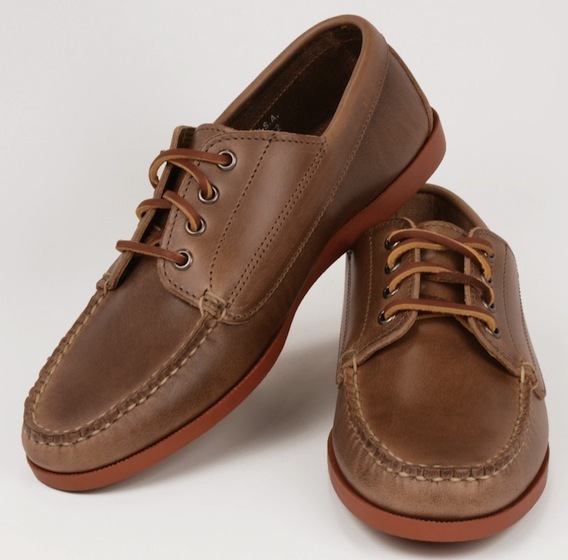 Ranger Mocs in Natural Chromexcel Leather by Rancourt & Co.
We’re still clinging dearly to our boatshoes, but it’s only a matter of time until we’ll be retiring them for the season. In an effort to keep a similar look this Fall and Winter, we’ve really put some effort into finding shoes that feature the moc construction that we so love. One option that we really like is the Ranger Moc in Natural Chromexcel Leather from our friends at Rancourt & Co.
As much as we hate to see the weekend disappear into our rear view mirror, we can’t help but enjoy a Monday that entails us giving away a fantastic prize pack from a growing company. 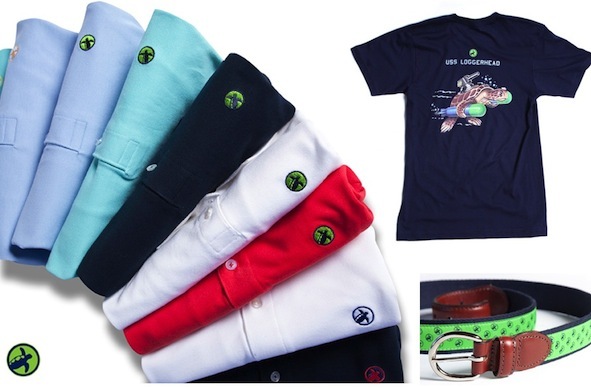 It’s been more than a year since we’ve talked about our friends down at Loggerhead Apparel, and in that time their line has expanded by leaps and bounds. Today, we’re happy to announce one lucky Bowties & Boatshoes reader is going to win a prize pack full of Loggerhead’s newest offerings. When it comes to gameday gear, our lineup runs the gamut from team colored go to hell pants to beat up old t-shirts we picked up as wide eyed freshman still learning our way around campus. Though most of the gear stays in the closet every day but Saturday, there are a few pieces that fit seamlessly into our everyday wardrobes. One of those pieces is the Coach’s Shirt by Pennington & Bailes. Though we wear them frequently, and spend far too much time researching them online, we still get way more excited than we probably should when we come across a bowtie that is truly unlike any we have ever seen. No, we aren’t talking about ties made from duct tape, or something that spins around, we’re talking about bows that make us say “why didn’t I think of that?” That is exactly what we said when we came across the Pendleton Wool bows from Harding & Wilson. Just like our clothing choices rotate throughout the year, our accessories seem to as well. For the summer months, we tend to use a credit card holder as opposed to a wallet, but each Fall we find ourselves shifting back to a traditional billfold. This year has been no different, and it seems that a transition is imminent. 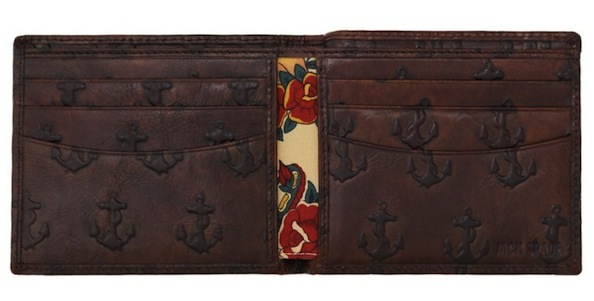 Though we tend to like more basic wallets, we might veer from previous tendencies a bit this time around and break out an Embossed Anchor Bill Holder by Jack Spade. When it comes to casual jackets for Fall, there are a ton of fantastic options currently on the market. We’ve already talked about how much we like the Brooks Brothers Quilted Navy Blazer, but, as versatile as it is, we can’t see ourselves wearing it every single day. 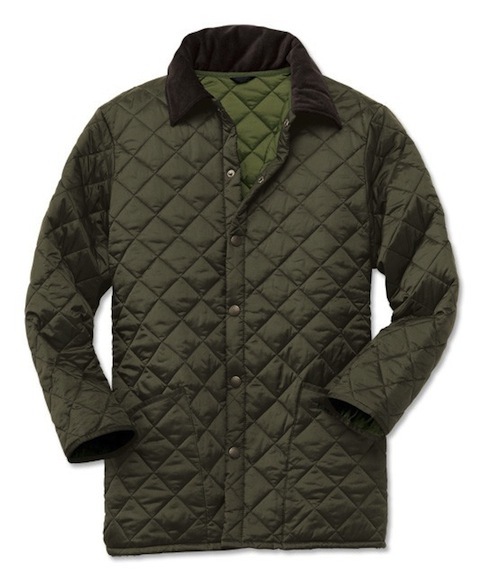 In an effort to find another quilted jacket that can work over just about anything, we went straight to Barbour. Our search ended as soon as we found their Liddesdale Jacket.